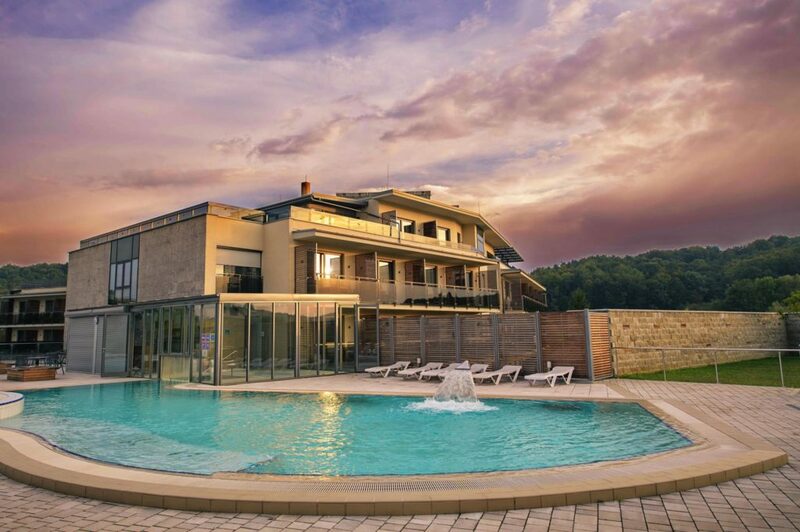 Hotel Bioterme**** is a new feature on the Slovenian tourist map which by focusing on environmentally friendly accommodation together with providing high-quality services is superior to the existing offer on the market and sets a new standard in the field of green tourism. At Bioterme Mala Nedelja the harmony with nature is intertwined with all of the options of sustainable living, the much needed feature during our holidays and in our daily lives. We invite you to experience all the advantages. Bioterme are distinguished by the thermal mineral water originating from two sources at a depth of 2,273m and 1,537m The pure with nothing added warm hyper-thermal high-quality water is rich in sodium potassium and hydro carbonates Due to its balneological characteristics it is suitable for recreation sports and especially for health care purposes since it has beneficial effects on the motor system and spinal function Hotel Bioterme is the only environmentally friendly hotel in the north-eastern part of Slovenia The hotel is constructed and certificated according to the Eco-Daisy standards. 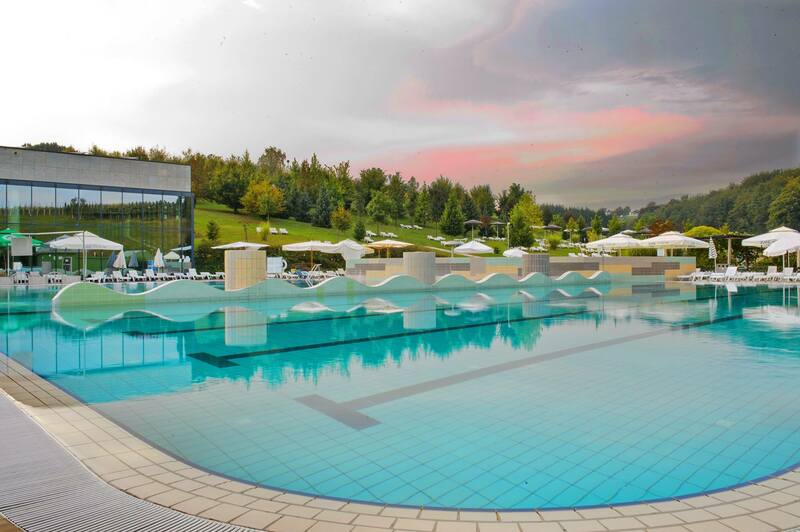 Bioterme Mala Nedelja is an excellent starting point for taking trips into the countryside. Take time for yourself and listen to the sounds of nature that will accompany you on every step of the way. Let them take you to a world of unforgettable adventures. 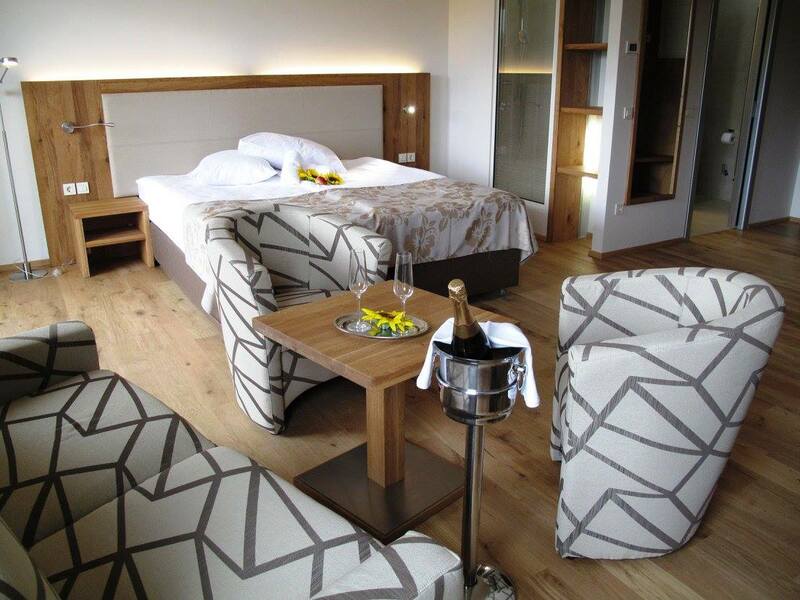 You acn explore Jeruzalem wine road, town Ljutomer, Ptuj, go biking and hiking or just relax in the swimmingpools. Hotel Bioterme embodies and symbolises a sustainable accommodation, healthy and organic food and a pleasant environment for guests and employees. The Bioterme hotel and the thermal water park surrounded by intact nature are situated among forests, pastures and wine-growing hills, the home of the genuine Prlekija wine. lobby bar, restaurant, wine cellar, conference rooms. sauna center, fitness, massage and beauty service.